Intel has announced plans to shutter their retail desktop motherboard business after more than 20 years on the job. The chip maker informed a number of tech publications of the decision late yesterday, stating that there will be no more retail boards from Intel after the fourth generation Intel Core processors are released later this year. 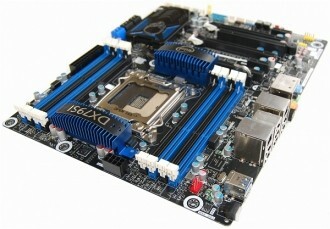 This includes all standard ATX, mini-ATX and micro-ATX offerings. It’s worth clarifying that the announcement won’t impact Haswell production as Intel still plans to volume produce motherboards based on that architecture. The decision to stop making boards after that shouldn’t deter buyers from picking up an Intel-branded board, however. The company has confirmed that they plan to offer traditional warranty and BIOS support that previous boards have enjoyed for years. After Haswell’s life cycle of 18 months to two years, Intel and buyers alike will have to rely on motherboards from third party manufacturers like Asus, Gigabyte and MSI, just to name a few. Chipzilla plans to reallocate resources from the motherboard division to other product teams like those working on all-in-ones and Ultrabooks. It’s also worth pointing out that Intel will still be responsible for making motherboard chipsets found in aftermarket boards. At the end of the day, this really won’t mean much of anything for the average consumer that buys a PC off the store shelf. For enthusiasts that build their own systems, it simply means that you’ll have to select another board maker to base your build on. That said, one has to wonder how often a DIY PC builder selects an Intel-branded board to begin with.